On April 30th I took to the platform to put my hard work on display for everyone at the King of The Spring Meet at NBS Fitness. 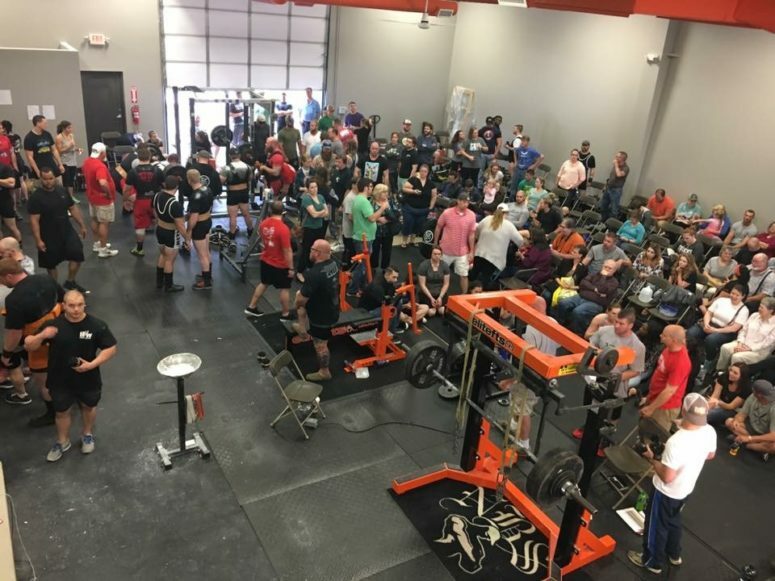 This was my second powerlifting meet and I was nervous as this was the first competition that my family would be able to see me in. I stepped up to the platform with a goal of a 1425 pound total in my mind. After a grueling and intense day filled with ups and downs I fell short of my goal by 50 pounds. I was disappointed. I felt like I had let my team, my family, and even worse myself down. Everyone in the course of their lifetime will encounter a time that will cause grief, heartache, and sorrow. Disappointments are a part of life and the sooner you and I learn how to properly cope with these disappointments the sooner we will progress towards success. I want you to know that when I say disappointment, I mean feeling like you’ve failed even when you have done everything in your power to succeed. 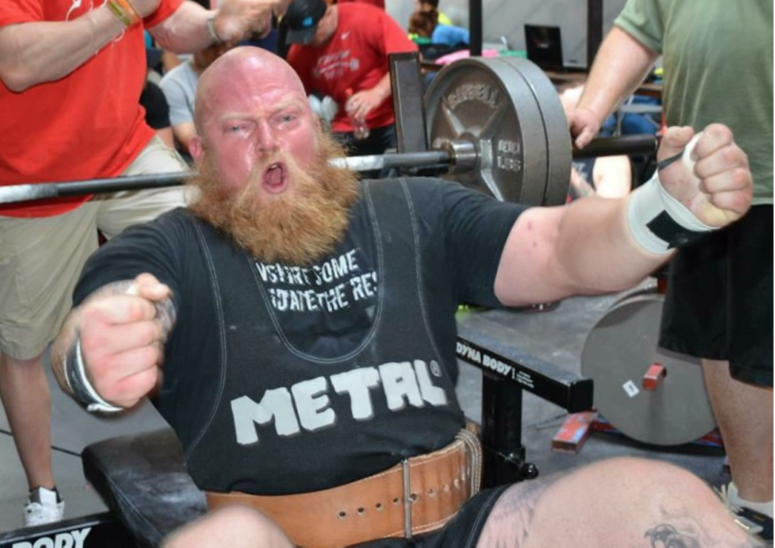 This principle extends far beyond the scope of powerlifting into every aspect of life; however for the purpose of this article I will concentrate primarily on lifting and the struggles that come with it. Disappointment is extremely different than regret. Regret is the emotion you feel when you miss an opportunity or failed to reach a goal but you didn’t actively pursue a different outcome; you simply wished for the outcome to be different and got upset when things didn’t fall your way. I was disappointed in the results of the meet, but I didn’t regret the meet or my attempts at the meet. I knew what I had trained for and how hard I had worked. I trusted my training numbers and knew that if I had a great day I could have a 1425 pound total. I would regret missing lifts if I had missed workouts or phoned in my training. My disappointment arose from knowing that I had gas left in the tank on certain lifts and knowing that my technique and not my strength or hard work had failed me. I was disappointed in my performance and I’m going to share with you how I overcame that to save you some time and grief. I’m going to share three lessons that I learned from the missed lifts at the meet; each lift taught me a different lesson as I reflected on where I broke down. My third attempt on the squat was set for 500 pounds. I wrapped my knees as tight as I could, tightened the belt, got under the bar, stood up as hard as I could, then I went through my normal cues. As I came to the bottom of the lift the bar started to roll forward on my back and all of the preparation in the world couldn’t save me from the inevitable miss of the lift. My hips shot up, my chest collapsed, I lost tension and the bar rolled up to my neck and were it not for the intervention of the spotters I would have dumped the bar forward over my head. 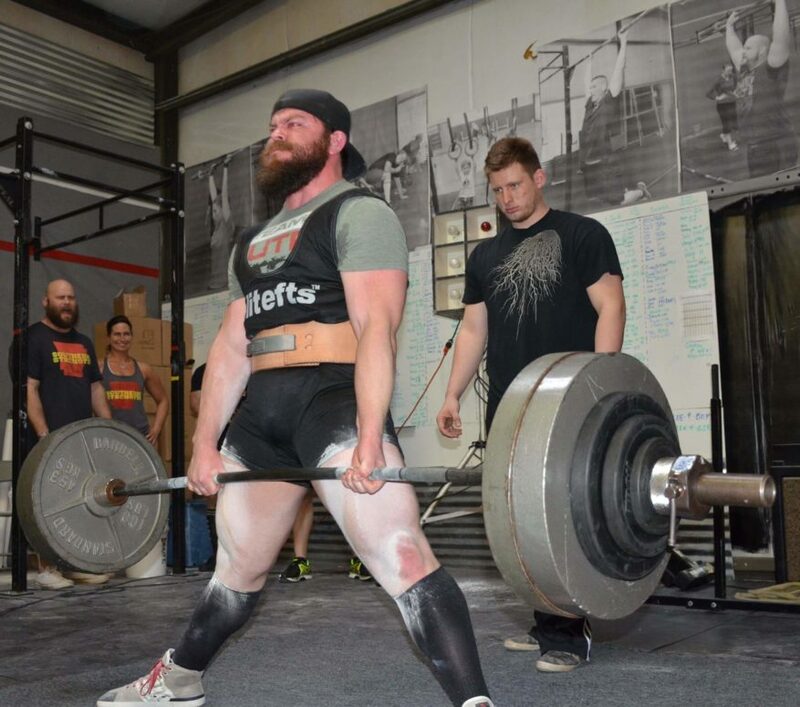 I have reviewed this lift more than any lift I ever have before, because it’s the first lift that I have ever had the strength to hit and not gotten white lights at a meet. As David Allen has taught me, “I learn more from my missed lifts than I ever do from the ones I hit.” This is my opportunity to reflect on what happened, to learn from the mistake, and take the appropriate action so that it doesn’t happen again! It would be easy for me to say that I was winded from the wraps and didn’t set into my belt hard enough and blame it on some freak incident. The truth is that I got overhyped and didn’t complete all of my cues. I know that my back wasn’t pulled in tight enough and that is what caused my upper back to round and for me to almost drop the bar. Now every time that I squat, what do you think is my first cue? I don’t want to miss another squat because I don’t pull the bar across my back. Take time in your life to reflect often of your goals and ambitions. When you don’t reach a goal evaluate what went wrong then take action to correct it. Few things in life that are worth have come easily; let me correct that and say nothing in life that is worth your effort and time will come easily. Expect the unexpected and build a team to help you get past these walls or plateaus. On the second attempt of the bench I set my traps into the bench, waited for the commands, pressed, and as I pressed my entire left spinal erector seized up into a giant mass of useless garbage. I’ve never had a back cramp before and hope to never have that same experience again. I thought to myself there is no way I can take a third attempt but I have to or I fail out of the meet. Christian informed me that I could in fact skip my third attempt and save myself for the remainder of the meet. What was more important one lift or a better total- this could be an entire new lesson on its own. Then I was able to have my back worked on for a few minutes by Memphis’ best massage therapist Yvonna, if you haven’t seen her yet go ahead and get an appointment. The pain subsided and taught me that pain is an important reminder that something is wrong. You feel pain to teach you to move differently or change your approach. My team was able to help me discover what the cause of the pain was and how to correct it. Find a team and surround yourself with like-minded people to push past your plateaus! Lesson 3- The Deadlift- Finish Stronger! At this point I was still in pain and my mind was shaken up about the two lifts that I had sacrificed to the meet. I had lost 25 pounds so far in the competition with the opportunity to finish up strong. I began my warm up and completed my first two attempts. At this time exhaustion has become a huge factor in my ability to perform. I was fatigued and upset but I still could reach 1400 pounds if I got my final attempt. I did everything I could to mentally prepare myself including getting a few love taps from friends. I stepped up to the bar and for the first time in my lifting career my grip failed me and my hips elevated as the bar didn’t budge. My hopes for 1400 dashed in an instant. I didn’t set correctly at all. When talking with Jim Sadler later on he told me he could see that I was in pain but wasn’t going to say anything that would cause me to lose focus on my goal. I couldn’t get the bar off the floor because I let the fear of my back creep into my head. The greatest obstacles in life and in lifting will come when the weights are heavy and the stakes are at their highest. This is when you have to be prepared to push back with everything you’ve got. If you fall short it will be okay because you will know that you didn’t allow yourself to shrink in the face of adversity. No Ragrets- not even a single letter! Life and weights will give you all the resistance you can handle. It is your choice to determine if you will stand up with the bar, or let the weights determine your destiny. When I look back at the meet I improved my overall total by 70 pounds in a little over four months. I was satisfied with the results because I knew that I had given my all. I also know that I am not done yet; I have a lot more in me and look forward to the next meet when I will destroy my current numbers. I will continue to reflect upon my lifts and what happened to me each time I approached the platform so I can hone my skills. I will have my team around me to help me get around the obstacles that stand in my way that I may not have the ability to get around or over on my own. I will finish stronger than ever because I know that the finish line is what matters, not the numbers I use in training. I know that if you will learn and use these lessons in your own lifting and life that you will be able to destroy the finish line and reach your goals!